I love being a pastor and I’m so thankful that the opportunity to return to pastoral ministry came after a three year break. I appreciate the work of my colleagues in ministry and I am very aware how easy it is to go off track. 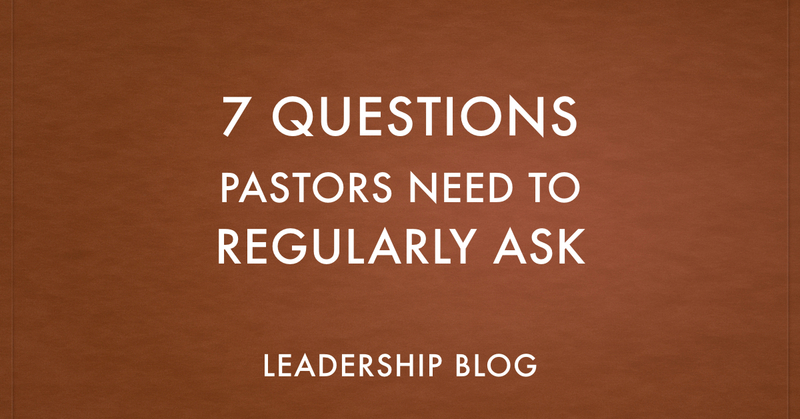 Here are seven questions that I and other pastors need be asking regularly. 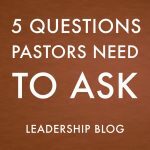 Two of the questions make assumptions about the family status of pastors. I understand that not every pastor falls into these categories but I thought it important to include for those who do. How is my relationship with my spouse? How is my relationship with my children? 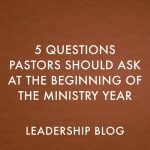 What are my immediate and long-term goals for my ministry? What can I do to deepen my skills in the area of Bible, theology, ministry, etc.? What am I currently doing to develop leaders within my congregation? How is God working right now in my congregation/community and how can I cooperate with that work?